Linville Falls is part of North Carolina’s Linville Gorge Wilderness, which is known as “the Grand Canyon of the Southern Appalachians.” No matter when you visit these exquisitely picturesque falls, you’ll see why it’s the most photographed waterfall in North Carolina. 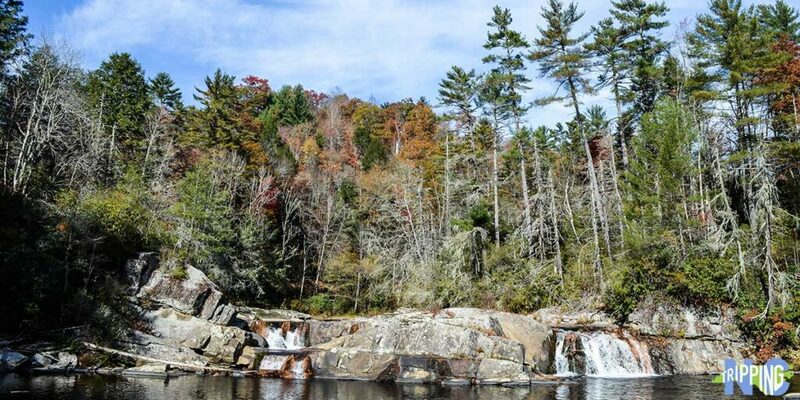 And that’s considering Brevard is nearby and it’s popularly known as the “Land of Waterfalls.” No matter where you stand on the best place to see a waterfall, Linville Falls should be somewhere near the top of your list. But why is it so famous? 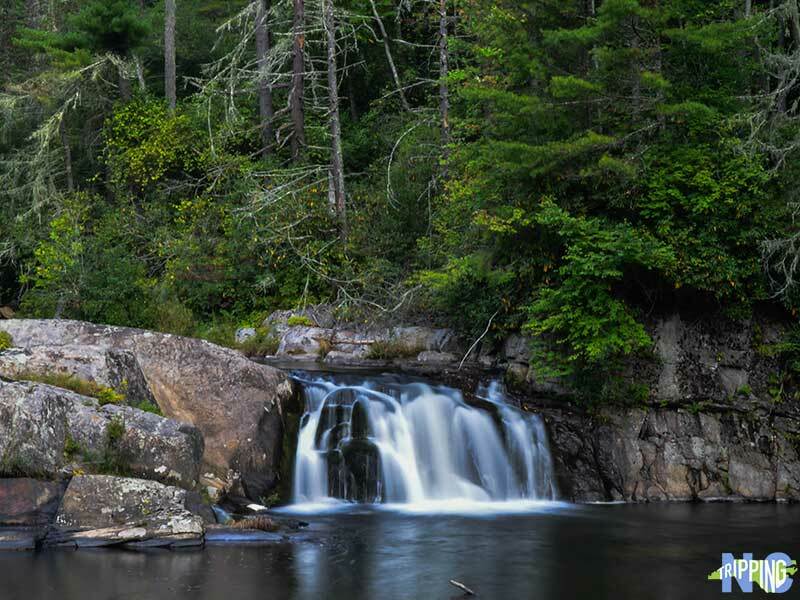 Fun Fact: Linville Falls are known to have the highest volume on the northern edge of the Blue Ridge Mountains. Long before people like us came to stare at them, the falls were supposedly used by Native Americans to execute prisoners. The waters here are very dangerous and every year, the Blue Ridge Parkway and other National Park officials will release a statement warning people to stay out of the water. Long story short, just stand back and don’t give into the temptation of jumping into Linville Falls. 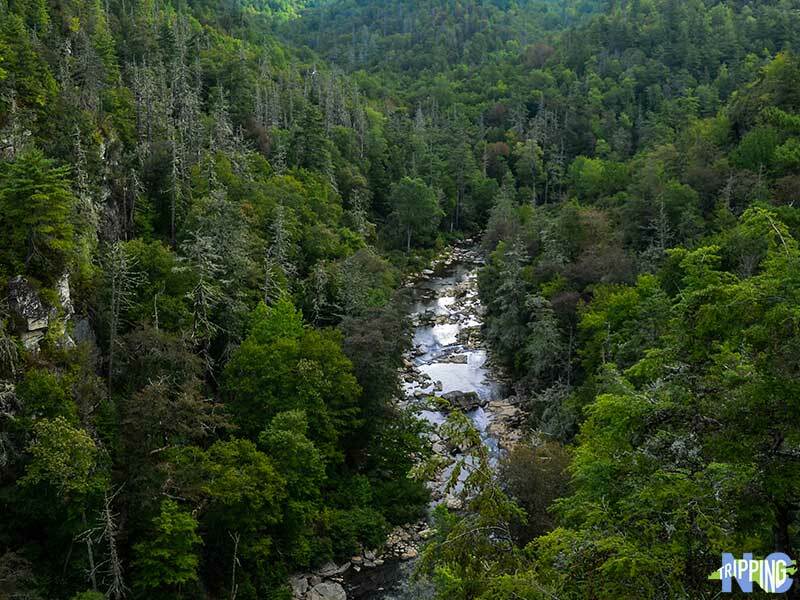 Linville Falls is open from Dawn to Dusk throughout the year and managed by the National Parks Service, as you’ll see from the visitor center that greets you upon arrival. The river and the falls are a wonderful sight throughout the year. However, I’d absolutely recommend going in the fall when the leaves are changing colors. It just raises the park’s atmosphere to a whole new level in my opinion. 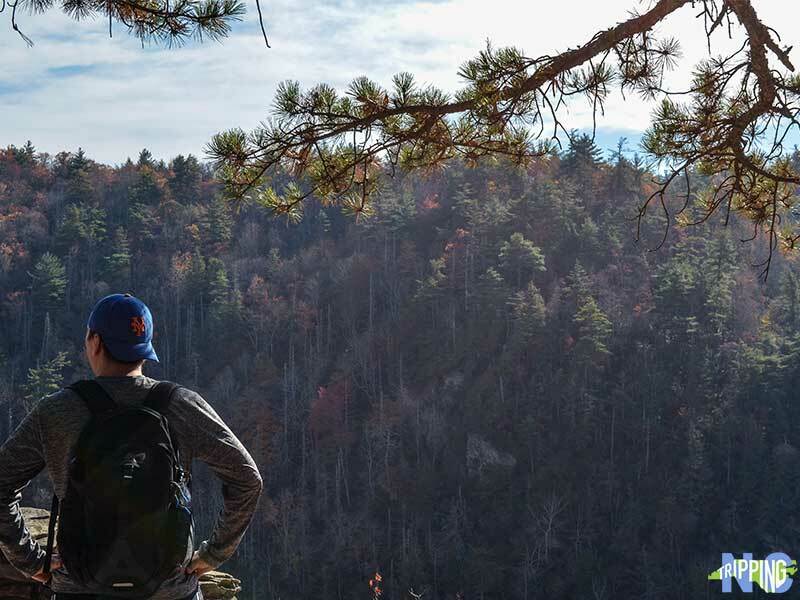 Linville Falls is also one of our favorite places for fall hiking in North Carolina. Check out more spots we love here! There are a few trails at the park, with the easiest one being Erwin’s View Trail. It’s a fairly simple 1.6 miles round trip. The trail also gives you beautiful overhead panoramas of the falls from various overlooks, including Erwin’s View and Chimney View. The 1.4 mile-long Plunge Basin Trail is listed as “Moderate” and gives you a view from the river’s opposite side. The Gorge Trail branches off from the Plunge and ends up at the foot of the falls, though some parts are inaccessible when the water is too high. Linville Falls is easily accessed via the Blue Ridge Parkway at Mile Marker 316. 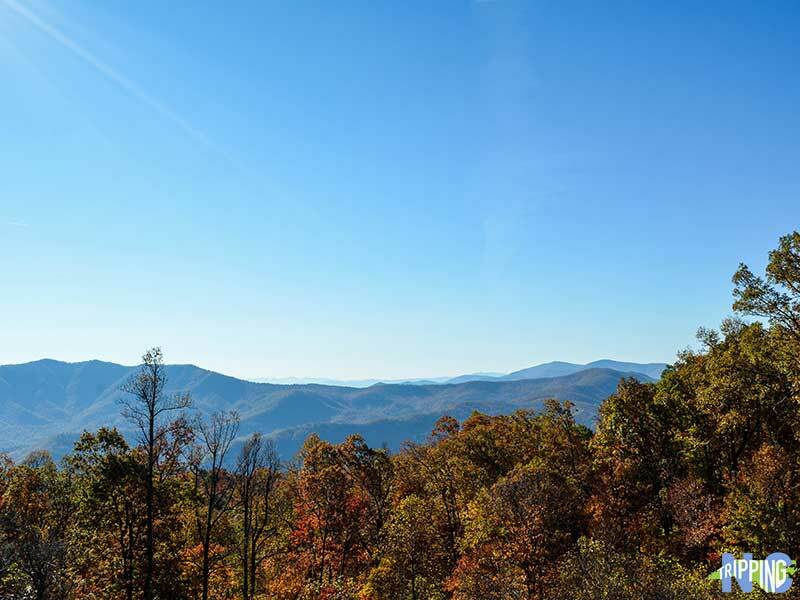 It’s about an hour northeast of Asheville and tucked within Pisgah National Forest. 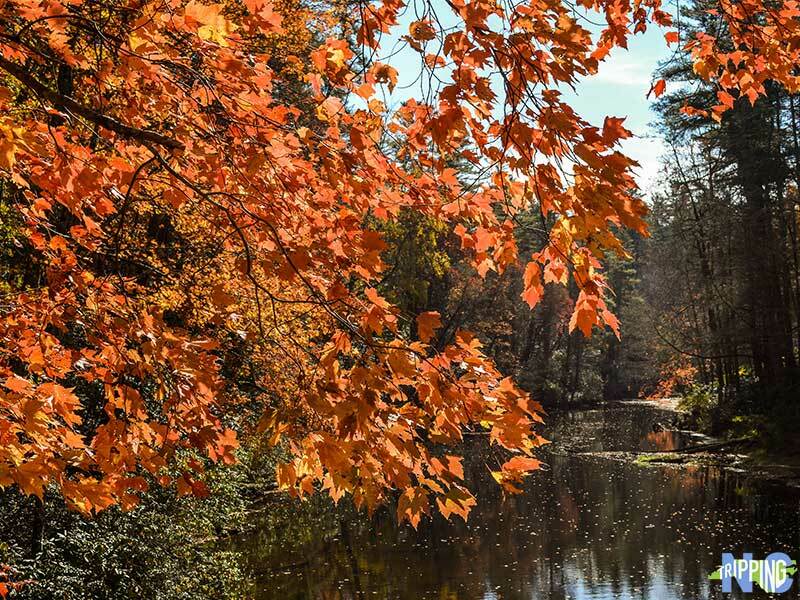 You’ll likely pass the Linville Falls Campground, which is the closest place to stay nearby. We stayed at Bear Den Family Campground, which is about a 10-minute drive away (Mile Marker 324.8) and seriously one of the coolest campgrounds we’ve visited. I don’t receive any compensation from them but will gladly promote them and stay there when in the area. As I wrote in the beginning, the falls are a part of Linville Gorge Wilderness. There are some beautiful viewpoints, including Wiseman’s View, that you should definitely check out. A lot of people come to enjoy rock climbing, hunting, and fishing. Hiking in the wilderness is different from the well-marked trails at most other parks. Linville Caverns are also within earshot of the falls and are North Carolina’s only ones that are open for tours. This post originally appeared on our sister site Travel Through Life. 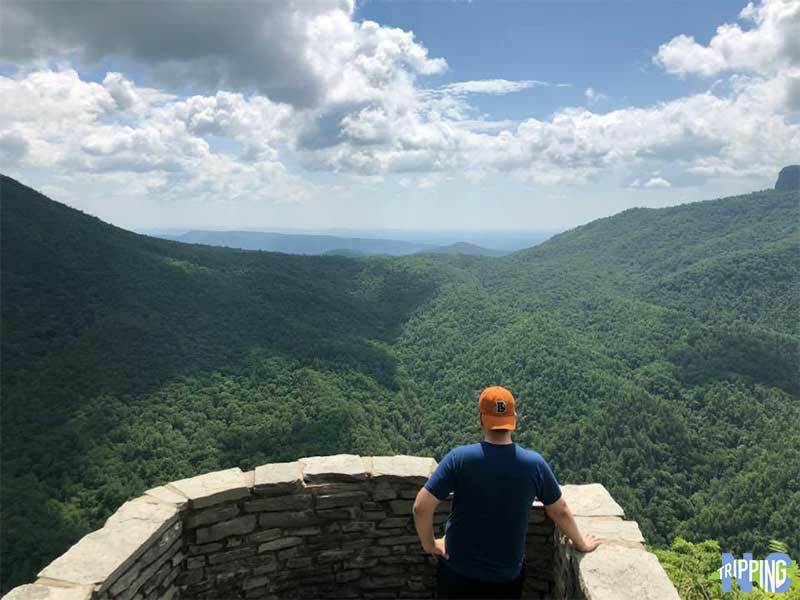 This entry was posted in Travel and tagged Blue Ridge Parkway, Burke County, Linville Falls, Pisgah National Forest, The Mountains.